I’m a big fan of restaurants, and last night chalked up the new venture by Jamie Oliver and Adam Perry Lang: “Barbecoa.” (Thank you very much, C&B.) And I’ve decided that it’s possible for a restaurant to serve flawless food while completely missing the point. Now, celebrity chefs are a bugbear with me. By the time they’re celebrities, they’re not spending much time where they belong – in the kitchen. Most celebrity restaurants simply trade on a well-known face, no classier than an X Factor second album. 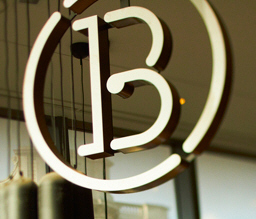 But that isn’t the problem at Barbecoa: the food’s terrific. It’s just not…. quite… what it should be. Its theme is barbecue. The relationship between fire and food. This relationship – going back, perhaps, to the exact moment an apelike creature scratching at the African savannah became Man – is deeply visceral, plasma meeting protein in a scorching, crackling celebration of sustenance. It’s about fun and theatre and the best things in life. If you doubt this, think of the happiest people on earth, and the people who do the best barbecues. You’ll have two identical lists. Most of all, the food should look like barbecue. Great platters of baby back ribs, massive hickory smoked cuts from the whole cow,vast piles of pork chops slathered in spiciness, whole crabs with blackened shells and giant prawns skewered with burnt-edged slices of belpepper and onion. Most of all, Jamie: where are the sauces? Barbecoa is a great restaurant. Serving great food. But as for the claim to barbecue? Nah. It’s all a bit .. polite.